Mental health services are reeling from a funding crisis, low morale and increased workloads, says a survey of NHS applied psychologists released by Unite. 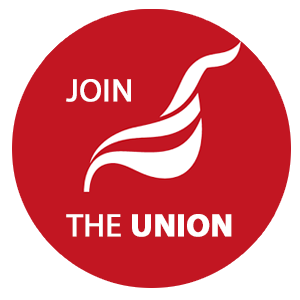 Unite’s survey coincides with today’s World Mental Health Day against a background of broken promises from health secretary Jeremy Hunt on mental health funding and a time when 25 per cent of UK adults suffer mental health problems in any one year. Unite national officer for health Colenzo Jarrett-Thorpe said: “Our survey of our NHS applied psychologists is another ‘wake-up’ call that mental health services in the UK are reeling from a perfect storm of budget cuts, low morale and increased – and unsustainable – workloads, which impact adversely on patient care. Chair of Unite’s applied psychologists professional committee Antony Vassalos added: “What applied psychologists across the UK are saying, loud and clear, is that they are being worn down by changes and major cuts in their services which are definitely not in the interest of patients, leading, as the survey shows, to increased stress at work and poor morale within the profession." 35 per cent have seriously considered leaving their NHS posts in the past 12 months. Last month, Freedom of Information requests revealed that Jeremy Hunt was failing to meet his pledge to boost mental health funds with more than half of the clinical commissioning groups (CCGs) saying they will have to reduce mental health spending in this financial year.